On the Hoomak Lake trail, I found the interpretive signs interesting. 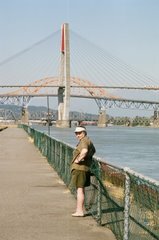 I"ll include a few among my photos of the sights along the trail. Sunlight on the top of a mossy log in a patch of salal. Brief history of the site. "... slash burned in 1960." After a site is logged off, the remaining broken timber and branches become a fire hazard, so the slash is piled and burned as prevention. The cleaned area then is colonized by fireweed, which provides shelter for early tree seedlings. The white pine blister rust is similar to the (probable) rust I found on the Ridge Trail a few weeks ago. It can spread rapidly through a forest, killing the trees. 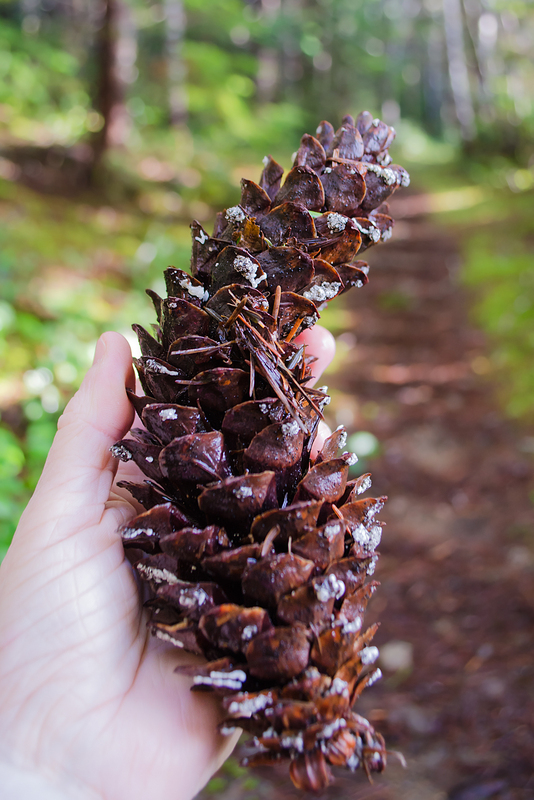 These cones can grow up to 30 cm. (12 inches) long. I don't know what those white patches are; they were hard and dry, and firmly attached to the cone. Tree species on this site. 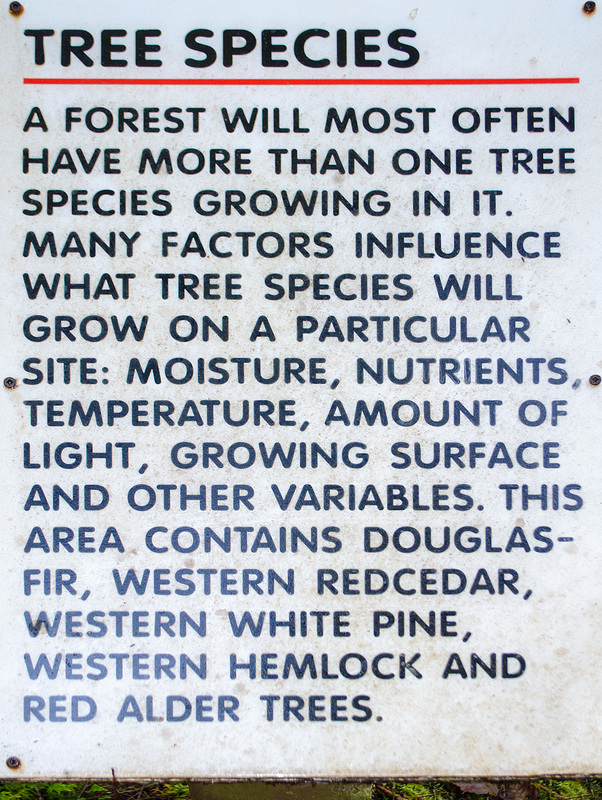 Partial legend, written in 2000: This area contains Douglas-fir, western redcedar, western white pine, western hemlock, and red alder trees. 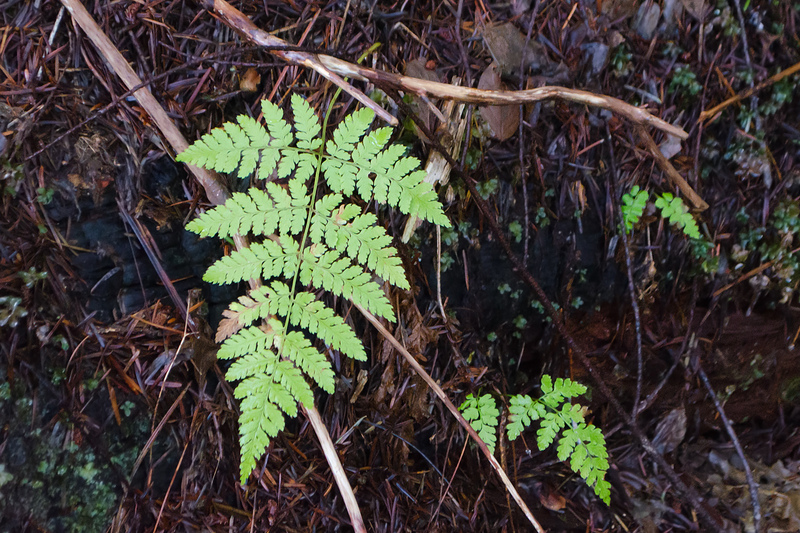 Ferns growing on a well-rotted log. The duff is mostly pine or hemlock needles, dead ferns, and a few alder leaves. An old forest will most often contain trees of various ages and sizes - from young to old, short to tall. 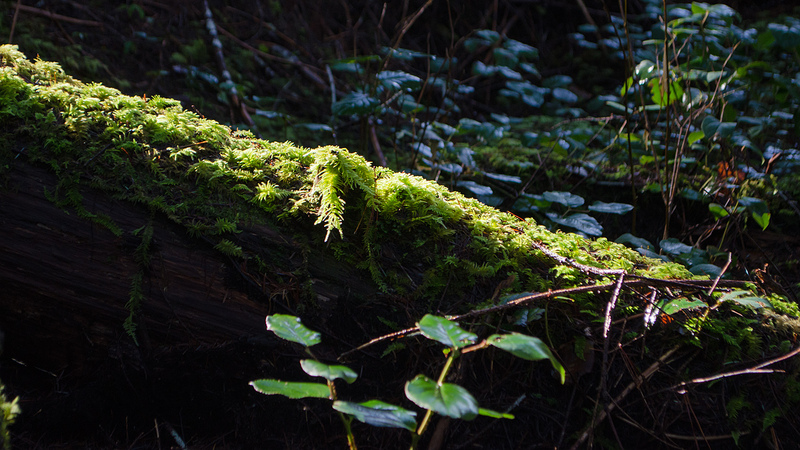 Some species, such as western hemlock and western red cedar, can grow in low light conditions. 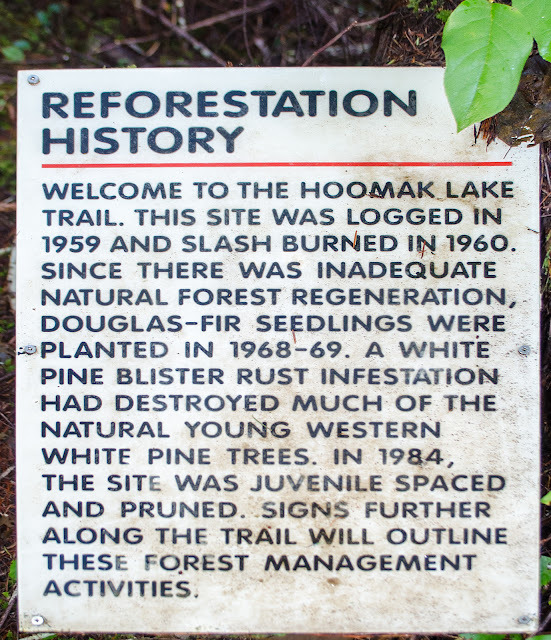 Douglas-fir, on the other hand cannot survive under the shaded canopy of the tall trees. Notice the different levels of tree heights in the forest around you. (Note: I craned my neck here. The Douglas firs are 'way up there in the sunlight.) 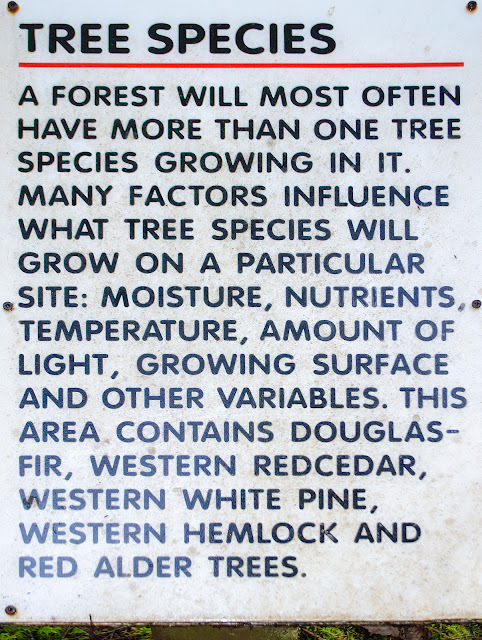 The biggest and tallest trees in sight are Douglas-fir trees. They are the original or "pioneer" species, growing natural or planted before the ground was shaded by other vegetation. Pioneer species are the first species to grow back on a disturbed site. Around you are numerous short, little western hemlock trees. They will eventually grow taller and take over from the pioneer species, ultimately being the tree species that exists on this site - the "climax" species - until the next disturbance. 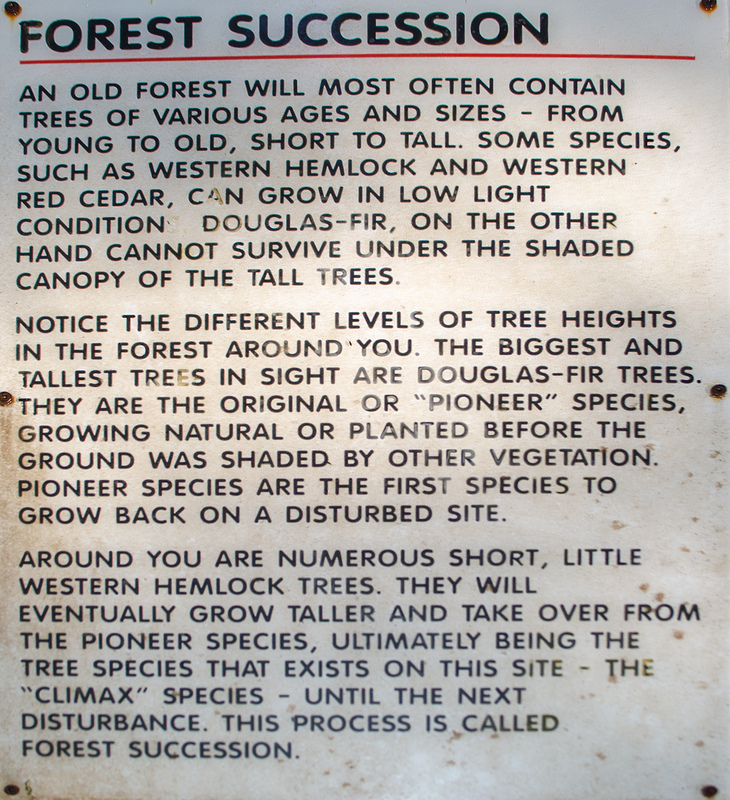 This process is called forest succession. The "little" western hemlocks from 20 years ago are now tall, thin trees. 20 inches a year for 20 years: 400 inches or 34 feet, plus their year 2000 height; the trees are now nearly a third grown. So Douglas fir that grew up in shady woods can get sunburnt. I can relate. 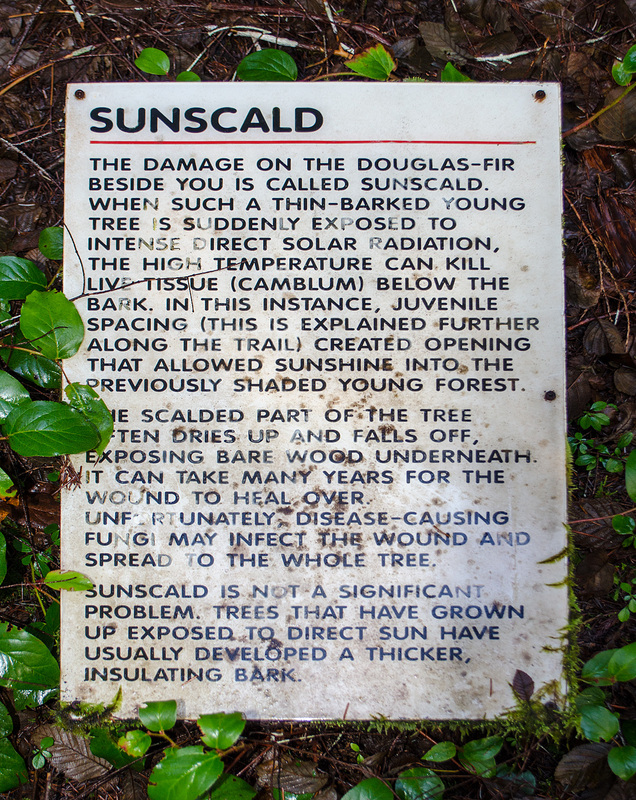 Legend: The damage on the Douglas-fir beside you is called sunscald. 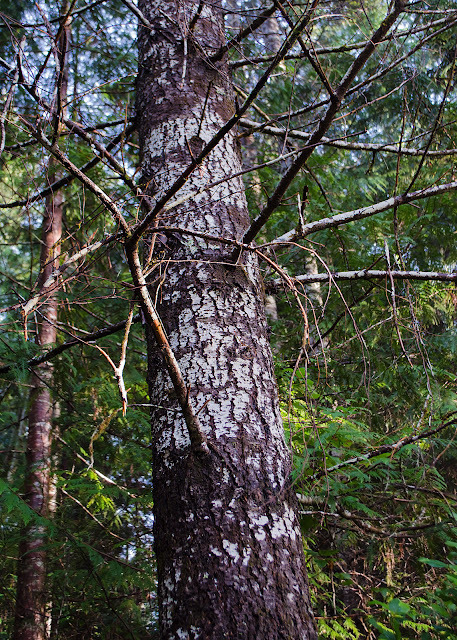 When such a thin-barked young tree is suddenly exposed to intense direct solar radiation, the high temperature can kill live tissue (cambium) below the bark. In this instance, juvenile spacing ... created openings that allowed sunshine into the previously shaded young forest. ... Trees that have grown up exposed to direct sun have usually developed a thicker, insulating bark. This is the tree that was beside the sign. Whether it is the one the sign referred to, or that one has long turned into duff, I can't tell. 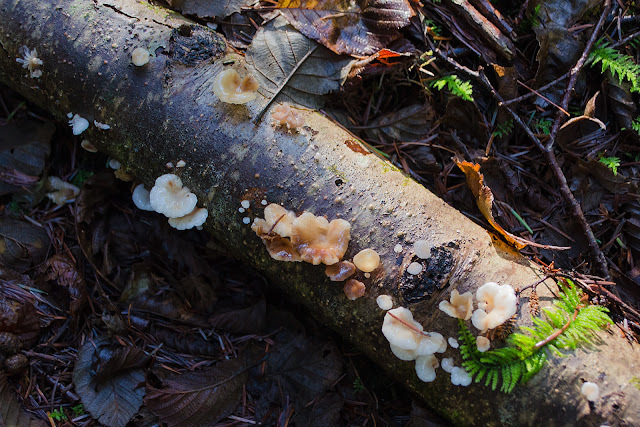 These mushrooms were soft, jelly-like, from white to tan to pinkish. The leaves on the ground around them are red alder. Something else I didn't know, tomorrow. Interesting and always good to learn new things.